Requirements: Compatible with iPhone, iPod touch (4th generation), iPad 2 Wi-Fi, and iPad 2 Wi-Fi + 3G. Requires iOS 4.0 or later. 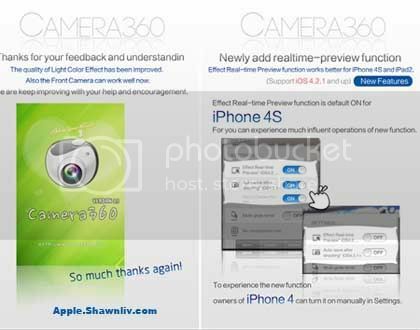 Camera 360 — The most popular APP for mobile phone photography on other platform, is unveiling on iPhone platform now, with its total now brand, interface and operation .Believe or not. It will bring you the great fresh experience.